An NFL's team offseason certainly is far from wholly defined by the first few days of free agency, but out of the gate the Texans certainly have underwhelmed. Armed with one of the largest war chests of cap space in the league, General Manager Brian Gaine and Head Coach Bill O'Brien have thus far combined to add zero talent to boost the Texans' very undertalented offensive line. That is weak. They are worse at safety in the exchange down from Tyrann Mathieu to Tashaun Gipson, though Bradley Roby at cornerback brings more upside than Kareem Jackson. Tactically overpaying is sometimes a necessity, whether to retain one's own players or to add from the outside. Gaine and O'Brien talk about developing and keeping their own as the primary way to build. Well, they better improve at that. See A.J. Bouye, Brandon Brooks, and even Ben Jones. In five seasons O'Brien has yet to develop and keep an above average o-lineman. The Texans have two more seasons of Deshaun Watson on the very cheap. J.J. Watt turns 30 next week. This is the window to step up aggressively. Fortune favors the bold. The Texans are more bland than bold. Bold does not mean reckless. The Texans are armed with a first round pick and two second rounders. Given the mess of the offensive line and a remaining clear deficiency at corner, it is a huge fail if they can't nab at least two instant starters. Last season the Rockets had three winning streaks longer than 10 games. Their chance for a 10-gamer this season was a grand opportunity, but they weren't up to it in losing Wednesday night to Golden State. A fully healthy Rockets team on a nine game roll was significantly outplayed most of the way, at home, by the Kevin Durant-less Warriors. That essentially killed off any revived hope of the Rockets making a run at the top seed in the Western Conference. The Rockets do have a soft remaining schedule which should position them to finish third in the West, which would mean avoiding a prospective second round series vs. the two-time defending champs. DeMarcus Cousins dominating Clint Capela was especially disconcerting if thinking of a Rockets-Warriors postseason sequel. And now the college scene. 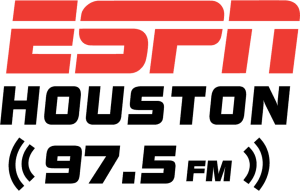 The Houston Cougars are the rightful favorites to win the American Athletic Conference Tournament, but it is not a given. Their semifinal game comes against the Central Florida team that beat them at the Fertitta Center, or a Memphis team playing on its homecourt. After their second half devastation of Cincinnati Sunday to win the regular season title outright, the Coogs have a chance to take a 32-2 record into the NCAA Tournament.They are locked in to be at least a number three seed, with some possibility of a number two. The top three ACC teams (Virginia, North Carolina, and Duke) are all locks to be properly seeded above UH. Gonzaga will be a one or at worst a two. Kentucky, Tennessee, Michigan State make seven teams highly likely to be ahead of UH. The committee could slot the Cougars as the lowest number two, with Florida State, Kansas State, and Purdue among other possibilities. Texas Tech badly hurt its claim of a two seed by going down in flames to last place West Virginia in the Big 12 Tournament. Speaking of down in flames, 16-16 for the Texas Longhorns. No .500 team has ever received an NCAA at-large bid and the Horns certainly don't deserve to be the first. Shaka Smart is 66-66 at Texas. If Smart didn't have roughly 13 million guaranteed dollars left on his contract he'd be a strong candidate to be fired. Five years ago when a coveted coach at VCU, Smart would have scoffed at the idea of taking the UH job. Meanwhile Kelvin Sampson stands a good chance of winning at least one National Coach of the Year award. Texas A&M; fell apart this season, hence Billy Kennedy is out after eight seasons in College Station. It's understandable, but Kennedy did coach the Aggies to the Sweet 16 in two of the prior three seasons. Shaka has zero NCAA wins at UT.